Will be giving exam in next 10 days. Looking at the score should I reschedule my exam as I am aiming for score above 700. Will postponing your exam affect any other important element of your application? If you've got one 700 and one 690, you can be sure that it's possible for you to do that well on the actual exam, but you'll be more likely to hit your target score if you get a series of scores slightly higher than your target score. 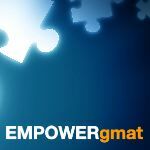 Do you have any legitimate reason to question your 'readiness' to face the GMAT and/or the accuracy of these two CAT Scores? GMAC has publicly stated that the Official Score that you earn on Test Day is within +/- 30 points of actual ability. Assuming a similar 'swing' in how your CATs function - and that you took these CATs in a realistic fashion - these 2 CAT score results show that you essentially performed the same each time (700 +/- a few points) and that you would likely score in the 670-730 'range' on Test Day. My main problems are some silly mistakes as well as timing issue( I wasn't able to attempt last 2 qs). I would say if your target score is 710-720, go for it. I am aiming above 700. Could u pls advise ...how to deal with the weak points I mentioned above.? Timing is super important. Never miss questions at the end.. mark whatever. Are you using any timing strategies? Something that I like to do is check after question #10, 20, 30 to see how much time is left. You should be within +/- 3 mins of the timing.